Handmade in the UK to industry leading standards. Available to buy online in a range of sizes. 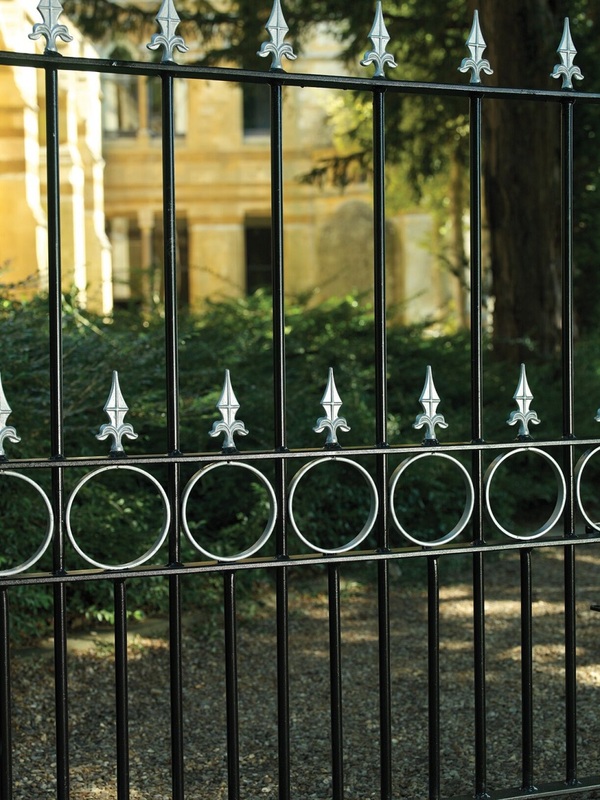 Manufactured in the UK by a team of skilled craftsmen the Royal Talisman wrought iron style driveway gates feature heavy duty steel frames and infill bars along with decorative fleur de lys finials and circular scrolls. Perfect for a variety of locations these highly imposing entrance gates represent exceptional value for money and should not be compared to cheaper alternatives. Traditional driveway gates manufactured in a wrought iron style. Heavy duty constructions ensure strength and rigidity. Handmade in the UK in a variety of sizes. 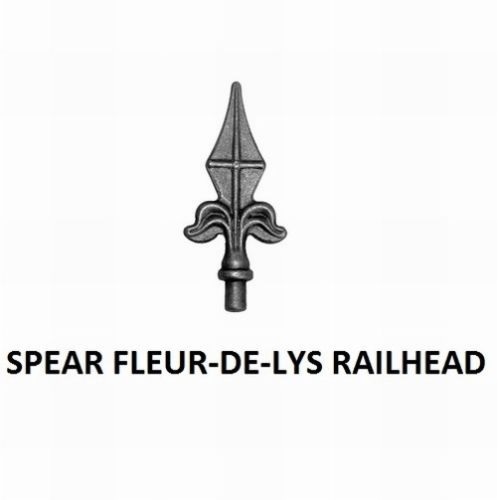 Fleur de lys finials provide added design appeal. Built using 40mm x 30mm hanging stiles, 40mm x 20mm closing stiles, 40mm x 10mm cross rails and 16mm infill bars. Double metal gates are supplied with adjustable hinges, sliding latch and drop bolts. The Royal Talisman design has a black primer finish ready for on site painting to the colour of your choice. 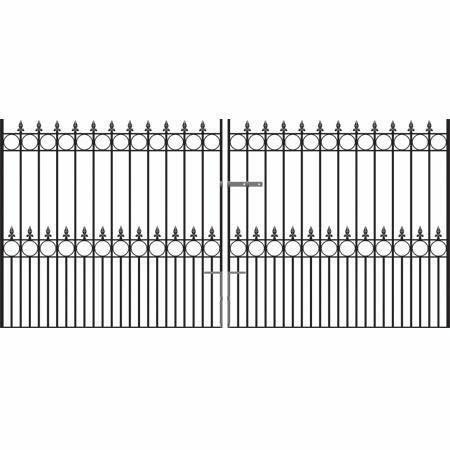 Cant decide which size driveway gates you need to order? 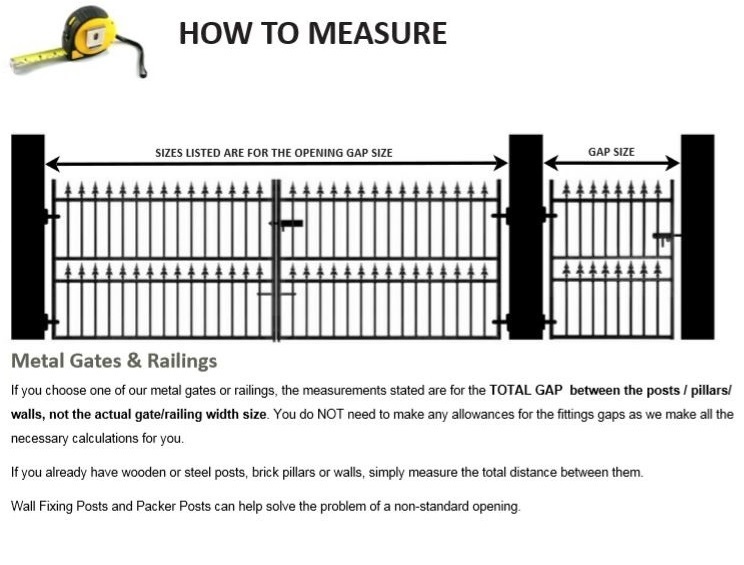 Have a look at the page showing how to select the right gate, refer to the FAQ`s or call us now on 0844 804 5577. To enhance these high strength driveway gates we are able to offer a number of optional extras and accessories including some of the following items. To learn more about the above optional extras or to get a quote please call now on 0844 804 5577, email sales@gardengatesdirect.co.uk or fill in our enquiry form.